His time of three minutes 59.4 seconds, set at Iffley Road sports ground in Oxford on May 6, 1954, stood as a record for just 46 days but his place in athletics history was assured. He also won gold over the same distance at the 1954 Commonwealth Games and later became a leading neurologist. A statement released on behalf of Sir Roger’s family said: “Sir Roger Bannister, died peacefully in Oxford on 3rd March 2018, aged 88, surrounded by his family who were as loved by him, as he was loved by them. Bannister studied medicine at the University of Oxford and went on to become a consultant neurologist after retiring from athletics in 1954. The Chancellor of Oxford University, Lord Patten of Barnes said: “My wife and I were very sad to hear about Roger Bannister’s death. We offer our condolences to his family. He was not just one of the great athletes of the last century but a superb doctor and servant of Oxford University. Wes Santee, of the United States, and John Landy, the Australian, had both gone close to the mark before Bannister finally achieved the feat at the Iffley Road track. As with his previous attempts, he had Chris Chataway and Chris Brasher, his Great Britain team-mates, to set the pace. Brasher took the runners through the first 880 yards before Chataway took over until the end of the third lap. Bannister kicked for home with 275 yards remaining and crossed the finish line in three minutes 59.4 seconds. 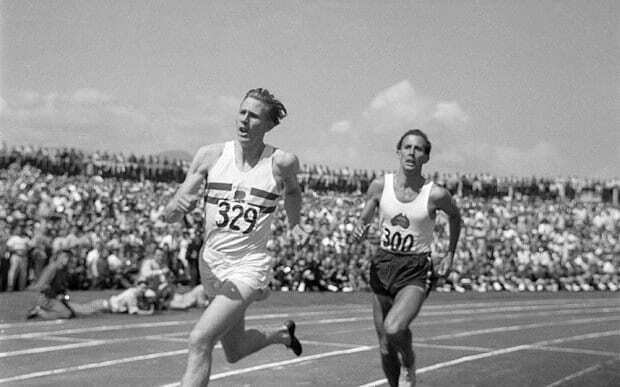 Bannister retired in August 1954 after winning the 1,500 metres at the European Championships in Berne, Switzerland. He devoted his life to medicine and has always said his career as a neurologist, and not his landmark run, was the achievement of his life. The current mile world record is held by Moroccan Hicham El Guerrouj, who ran a time of three minutes 43.13 seconds in Rome on July 7, 1999. Speaking to the BBC in 2014 about his illness he said: “I have seen, and looked after, patients with so many neurological and other disorders that I am not surprised I have acquired an illness,” he said at the time. Bannister was the first Chairman of the Sports Council and was knighted for his service in 1975. In response to the news of his death, British Athletics tweeted: “All at British Athletics are incredibly saddened by the passing of Sir Roger at the age of 88. Fellow sporting stars also paid tribute. Olympic champion Amy Williams wrote: “Sad to hear of the passing of Sir Roger Bannister. First athlete to break the 4-minute mile, and going on to do groundbreaking work in medical science. Posted in Character and Integrity, Sir Roger Bannister, Sports, tribute.